Is the standard measurement for weight and quality of fabrics. I've re-ordered these same bags with the same color and design every month for the last 8 months. Custom Earth Promos has yet to disappoint me. I highly recommend them. Love these eco-friendly bags. They helped promote my business in a cost effective way. Thanks. I was able to design these bags just the way I wanted. Appreciate what you guys do. The bags I ordered came in such a timely manner! We needed them on a short notice and they arrived on time! Very happy with this product. Amazing!!!! Every aspect of our ordering process was flawless. Danny was so pleasant to work with and all of our questions and concerns were answered promptly. I will be ordering again next month for an event we're having. We added pockets to our bags and our clients loved them! 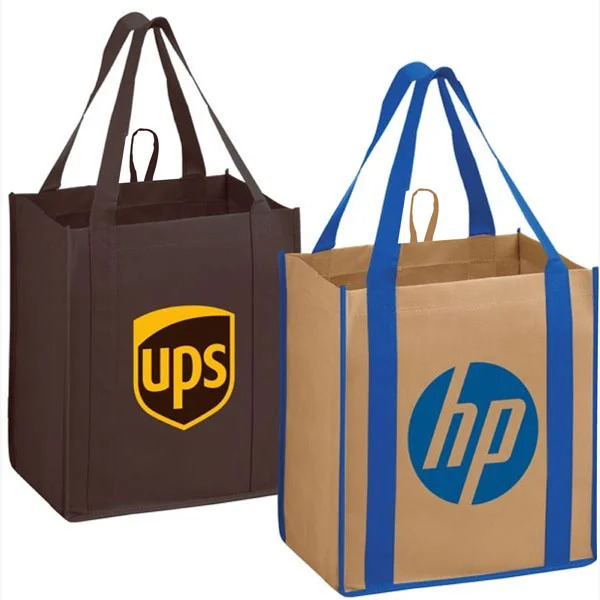 There are so many ways to make these bags unique to your business. Impressive work! Great detail was put into the stitching and and the bags hold unbelievably well! We will be ordering again soon! We were impressed by the excellent customer service as well as the high quality of the bags themselves. Our customers love toting these around wherever they go. We first ordered sample bags, and those were great. When receiving the final order, it was better than expected! The bags were striking in appearance, and the quality was amazing! I received exactly what I was looking for and saved a lot of money ordering in bulk. I have to say, this company is a pleasure to work with. I sent them our companies logo and they were able to capture it perfectly onto the bags. I've now ordered from them three times for our company, and all the orders have come out exactly how I requested. Great company and would recommended to all growing businesses. You can absolutely see and feel the quality of these bags. They provide maximum durability and look great. The quality of these bags is obvious as soon as you pick them up. Could not be more satisfied! All around great experience with Custom Earth Promos. The customer service was exceptional, along with the high quality appearance and design of these bags. Will definitely recommend! Thrilled with the outcome of my bags! We really saved money when we ordered in bulk. These bags and their prices really blow all competition out of the water. These bags are so customizable that you can really make them individual to your business. The quality is also amazing. I would highly recommend CEP. Just received these bags and I couldn't be any happier with how they look and feel. These reusable bags are fantastic! My customers loved them! I was really delighted with the custom reusable non-woven bags we received. I highly recommend CEP! I work as the director of member services for a small nonprofit, and ordered these non-woven bags for a conference we hosted. They were a huge hit and I will definitely be placing a second order. Our women's group used these bags for our annual silent auction. We raised a lot of money that is going directly to help disadvantaged children in our city. I was really happy with the customer service I received from Custom Earth Promos and will definitely place another order soon! A very strong and durable bag. I have put it through the test and it really withstood all the abuse. I needed my bags in time for an upcoming event, that popped up on short notice. No other company was able to deliver the way Custom Earth Promos did. Thank you guys so much. Super happy with these custom reusable non-woven bags! Thank you Custom Earth Promos! It was a little hard to select the custom reusable non-woven bags I wanted to order with all of the color options, but after talking to the graphic designer I found one that went with our logo! The bags arrived in a timely manner and were a huge hit with our clients! I ordered these custom reusable non-woven bags along with some bamboo bags I saw on the site for a promotional event I had a few weeks ago. Both bags were a huge hit! Thanks Custom Earth Promos! Our organization was extremely happy with the overall quality of these bags. Everything from start to finish worked out perfectly, and I would definitely recommend Custom Earth Promos. These custom reusable non-woven bags are awesome! I ordered 100 of these for an event to try out Custom Earth Promos and am currently placing my second order! Our organization was very happy with the customer service we received from Custom Earth Promos. Our bags were delivered in a timely manner, and our clients loved them. Very impressed with the build of these custom reusable non-woven bags. My clients were very happy with them, and I was very happy with the customer service that CEP provided. These custom reusable non-woven bags looked great! We received a virtual sample from the graphic designer that was really helpful in selection the color that we wanted to use. Overall, we had a great experience. 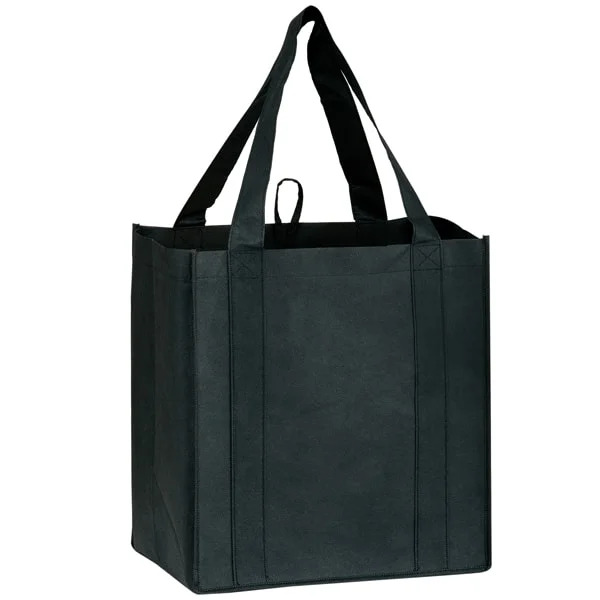 Our reusable, non-woven bags are designed to outlast the rest! 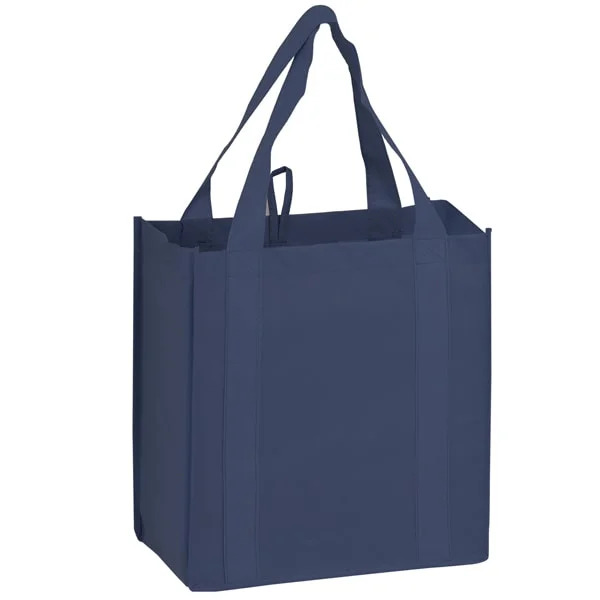 Made from high quality 100 GSM non-woven polypropylene, with dual reinforced handles stitched down the front and back, these 100% recyclable and reusable bags can hold up to 25 lbs. without breaking a sweat! Available in 17 in-stock color options or fully customizable overseas, you can order these bags with the confidence that the quality is going to last. An estimated 500 billion to 1 trillion plastic bags are disposed of annually worldwide. Custom Earth Promos invites you to take a stand, by offering an environmentally-friendly alternative option at the register. A smaller version of our PP3 bag, these customizable grocery bags are built to handle heavier items and last for years to come! Order your custom, non-woven bags today and see why this is our #1 re-ordered product! Designed for more intense use, the rigorous quality control standards of this product sets this bag far above the competition. There will be a noticeable difference in the quality of its material; we use only the smoothest, strongest, most consistent 100 GSM non-woven polypropylene to construct our eco-friendly grocery bags. Order a FREE sample bag today and you will see it's the best quality available, far exceeding expectations. 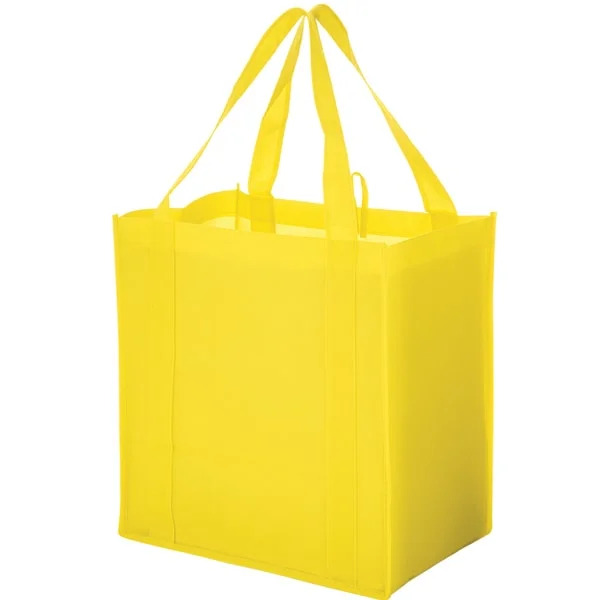 The 20" handles are double stitched the entire length of the bag for maximum durability and the removable and washable base protects its contents. What's even better than getting your message across to hundreds of potential customers? It's delivering your advertisement to thousands of people, of course! By ordering your next batch of shopping bags overseas, you can keep inventory for several events or promotions and save loads of money by going factory direct. The same outstanding 100 GSM fabric is used to sew your bags from scratch so that you can customize the dimensions, shape, color, and add fun features such as zippers, pockets, grommets, color blocking, and more! 2nd, 3rd, and 4th imprint colors and locations can be added for only pennies more!